The Florida city commissioner who confronted and shot an alleged shoplifter at a military surplus store earlier this month was charged with murder Friday. 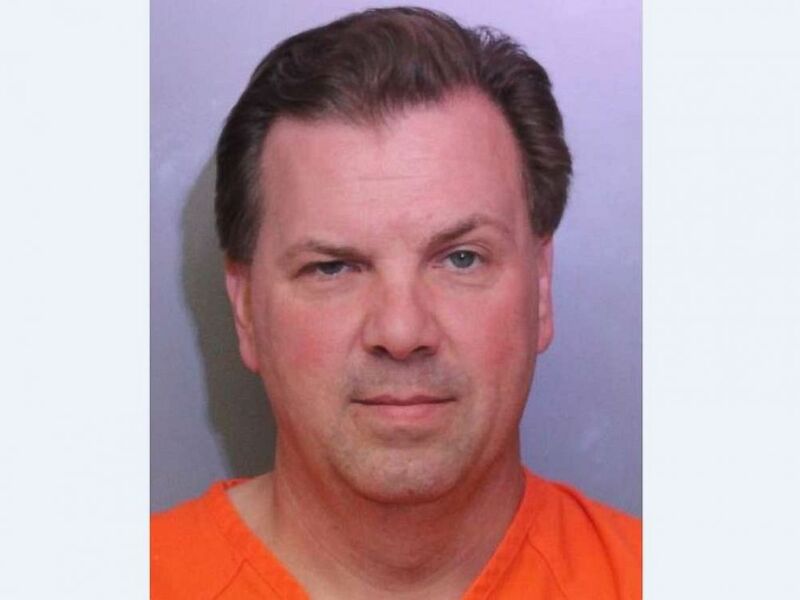 Michael Dunn, who serves as Lakeland's city commissioner for the Southwest district, was confronting a man police said had taken a hatchet from the store he owns when he shot and killed him. Surveillance footage from the incident, which took place Oct. 3, was released on Monday. Christobal Lopez, 50, was killed in the shooting. Dunn was charged with second-degree murder on Friday. If convicted, he could spend up to life in prison. "I have determined that this case and the actions of Mr. Dunn fall outside the protection of the stand your ground law," Polk State Attorney Brian Haas said at a news conference Friday night. According to an affidavit and the store surveillance footage, Dunn left his office at the Vets Army Navy Surplus store when he saw Lopez take a hatchet from a shelf and stick it in the waistband of his pants. Dunn grabbed a handgun and stuck it in his waistband and cut off Lopez from leaving the store. The two got into an argument, according to the affidavit, before the hatchet fell out of Lopez's pant leg and onto the floor. Lopez said he would pay for the hatchet and moved back to the counter, before "hastily attempting to leave the business with the hatchet in hand," according to the affidavit. Dunn is seen grabbing Lopez's shirt to prevent him from leaving. He then loses his grip on the shirt and raised his gun to "eye-level" and fired two shots. One shot struck Lopez in the left upper torso and another hit him in his back, according to the affidavit. He died on the scene. Dunn did not attempt to "render aid to the victim," the affidavit says. 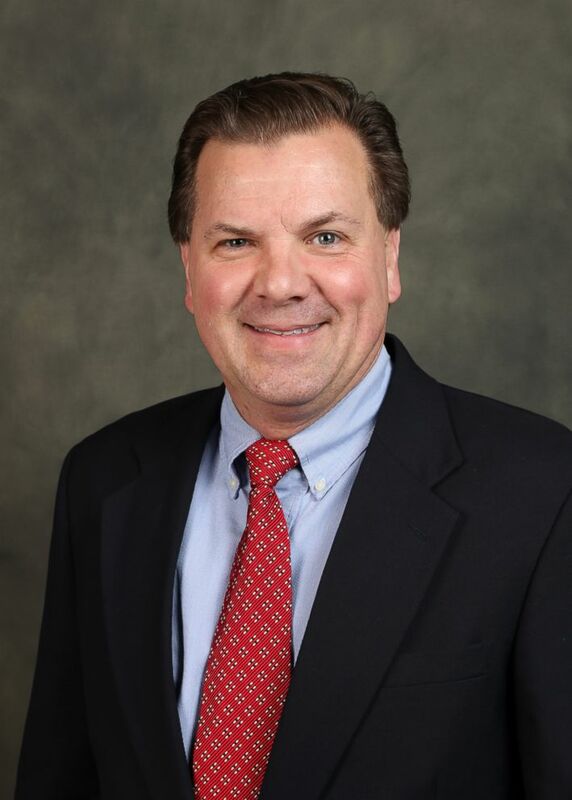 Michael Dunn, Lakeland city commissioner for the Southwest region, in this undated photo from the city's government page. "At no time did the victim appear to have made any threatening movements towards the suspect," the affidavit states. "Further, witness testimony ... revealed that the victim did not make any verbal threats towards the suspect." The affidavit also includes statements to police from Dunn after being read his Miranda Rights: "The suspect stated he was in fear, but when he was asked what would have happened if he let go of the victim, the suspect replied, 'It might be fair to say, that if I just stepped back and let somebody come in and take what they want, that there would be no issue!" Rusty Franklin, Dunn's lawyer, told ABC News on Monday -- prior to his client's arrest -- that "all legal defenses are under analysis and will be pursued." Franklin later said at a press conference Monday that Dunn "acted responsibly and legally." Dunn is currently being held in Polk County Jail, and an arraignment date has yet to be set. The charge is the second example in three months in the state in which a prosecutor did not accept a "stand your ground" defense. Michael Drejka was charged with manslaughter after shooting a man outside a Clearwater convenience store in August. Security footage in that incident showed Markeis McGlockton push Drejka to the ground after he confronted his fiancee outside the gas station. Drejka shot and killed McGlockton. Florida's "stand your ground" law came to national prominence in 2012 with the acquittal of George Zimmerman for the fatal shooting of Trayvon Martin in Sanford, Florida. The law, outlined in statutes 776.012 and 776.013 says a person "does not have a duty to retreat and has the right to stand his or her ground if the person using or threatening to use the deadly force is not engaged in a criminal activity and is in a place where he or she has a right to be." ABC News' Matt Stone, Matt Foster and Joshua Hoyos contributed to this report. Sounds like mister Dunn let his emotions and anger get the best of him. Yeah... in 2018, society isnt going to approve of killing to prevent petit larceny. However, in an anarchist and cop hating world, shame on those pigs doing their jobs. Anyhow, it is too bad that the thief didnt attempt to use the axe as a weapon when confronted... then Dunn would have been golden. In closing, the story still has a happy ending. This particular criminal (the scumbag thief), will never repeat offend like 95% of ALL convicted criminal shitbags. If Mister Dunn was "Officer Dunn" he wouldn't have been charged. IF you had a brain, you wouldnt be an anarchist. IF your auntie had balls, shed be your uncle. Come on princess - admit it. Had this been a cop doing the shooting, he would have used the magical words "I feared for my life". You know - the phrase that allows cops to get away with killing cats, goats, dogs and people. "At no time did the victim appear to have made any threatening movements towards the suspect," the affidavit states. Given that he was only 3 feet away it wouldn't have taken much movement, or time, to swing it. Maybe Dunn should have waited until the hatchet was buried in his skull. A few things pop out. 1) "Stand your ground" has nothing to do with this incident. This was self-defense. 2) Lopez stole a dangerous weapon and was holding it in his right hand during the confrontation. A quick arm movement and Dunn is dead. 3) This wasn't merely a case of shoplifting where Lopez tried to sneak a shirt out of the store. If he had, Dunn had no justification to shoot. But a hatchet in his right hand is not a shirt down his pants. If Mister Dunn was "Officer Dunn" Lopez would have dropped the hatchet. A notable difference in the ability to deter a shoplifting crime is the difference between an armed police officer and an armed shop owner. A police officer is usually not alone but has a partner on hand, also has handcuffs, pepper spray, a taser & a radio. He also has training to manhandle a suspect to the ground. An armed shop owner usually has only the gun as a deterrent, and is alone. So if a shoplifter just walks in and takes something and leaves, cops have the ability to assault him (legally) and take him down to the ground and do all manner of (what should be) non-lethal actions to subdue the guy, and only kill him if he presents a threat of deadly force (or the police otherwise perceives it). A shop owner, even armed, can't really do any of those things. The gun then becomes useless and even a liability to the owner as happened in this case. Not saying he should or shouldn't have fired, or should or shouldn't be prosecuted. Just an observation. You let the guy walk out with the hatchet, and you submit a claim against insurance. Or you take a tax deduction and get a third of the value back. Shrinkage is a fact of retail. All store owners experience it. You can't shoot shoplifters - not under the law of any of the states, not under the old Common Law of England, and not under the Canon Law or the Law of Jesus, or the Law of Moses either. In the eyes of God and man, for millennia, simple theft does not justify taking a life. It's too bad that Dunn did this.